Writing of Samrat Upadhyay’s story collection, critics raved: “like a Buddhist Chekhov . . . speak[s] to common truths . . . startlingly good” (San Francisco Chronicle) and “subtle and spiritually complex” (New York Times). Upadhyay’s novel showcases his finest writing and his signature themes. 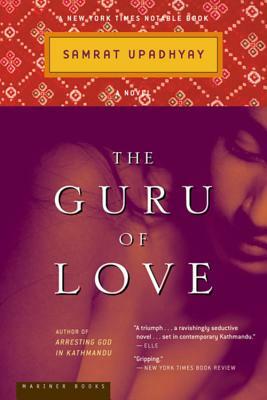 The Guru of Love is a moving and important story—important for what it illuminates about the human need to love as well as lust, and for the light it shines on the political situation in Nepal and elsewhere. Ramchandra is a math teacher earning a low wage and living in a small apartment with his wife and two children. Moonlighting as a tutor, he engages in an illicit affair with one of his tutees, Malati, a beautiful, impoverished young woman who is also a new mother. She provides for him what his wife, who comes from a privileged background, does not: desire, mystery, and a simpler life. Complicating matters are various political concerns and a small city bursting with the conflicts of modernization, a static government, and a changing population. Just as the city must contain its growing needs, so must Ramchandra learn to accommodate both tradition and his very modern desires. Absolutely absorbing yet deceptively simple, this novel cements Upadhyay’s emerging status as one of our most exciting writers.